The Blazers completed their regular season schedule against Heathwood Hall and Mid-Carolina High School last night. Against Mid-Carolina in the first match for the team, the Blazers looked very impressive. Mike McQueen got the party started with an aggressive and acrobatic match, resulting in a pin that gave Ridge View the lead that they would never relinquish. After a few forfeits made it 18-6, Jonathan Cardona and Janio Cespedes quickly pinned their opponents. Brandon Holliman, Roman Robinson followed them with pins as well, leading to Joshua Williams getting his first varsity win of the season in dominant fashion at the 182 weight class. 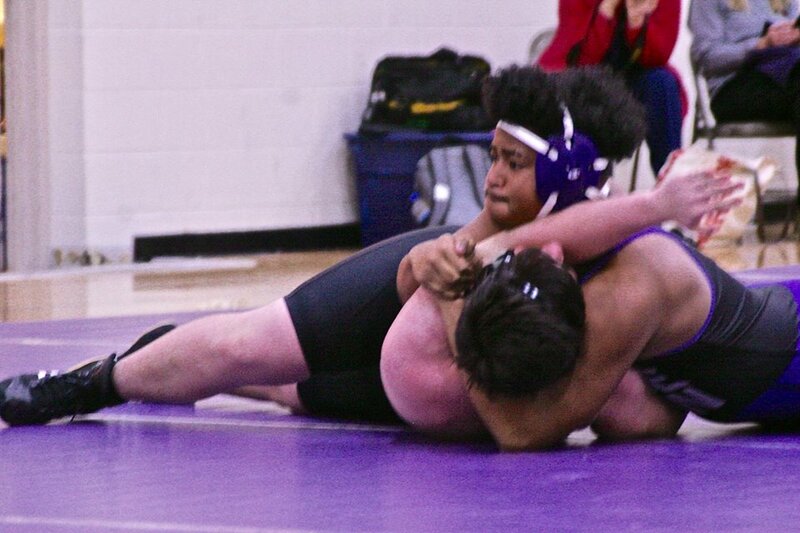 Jabari Hampton grinded out a 5-3 win in his last match at home as a Ridge View Blazer. Finally, to end the match McKale Yanagacio came out and easily dispatched his opponent by bumping up to wrestle in the 220 pound weight class to give the team a 63-9 final score. Things did not go as well against Heathwood Hall. After wrestling some very tough matches, the team lost 46-30 to the #2 ranked SCISA team in the state. The loss put the team’s record at 11-15. The team will next compete against York Comprehensive High School in the AAAA Playoffs on Saturday, 2/2/19.